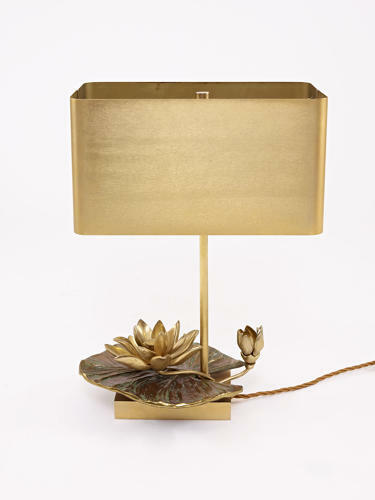 Iconic lamp by one of France's leading lighting design companies. Patinated bronze lily leaf with one open flower and one in the process of opening. The lily leaf measures 28 cm by 20 cm and the shade 36 cm wide by 21 cm deep and 19 cm high. These are still made today by the Charles company for several times the price of this original.